Fully assembled. Metal body with cast, etched and fabricated details. Detailed chassis with daylight between bar frames. Operating outside motion including functioning linkage to lubricator. Sprung buffers. Close-coupling cams with NEM 363 slots. LED lighting with Continental-pattern lamps. 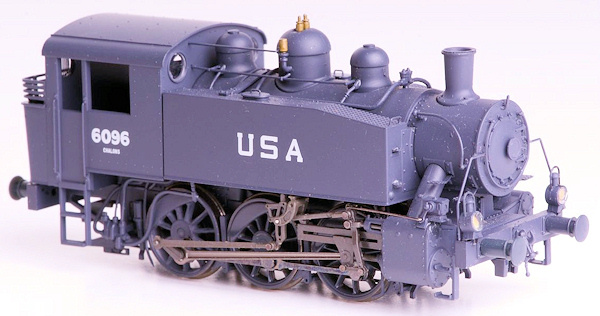 Based on a prototype used in France, but structurally identical to locomotives used in Great Britain, including on the Southern Railway (before rebuilding into the USA Class), in industry and in the War Department.